Red Bear is focused on more than just making great beer and sharing this with our patrons, but also reaching out to the community and creating memories. This same focus lends itself to everyone working at the brewery, as each individual is a key part in bringing these goals to reality. We also embrace having the opportunity to grow and try new things. Being a startup, opportunities will be available to do something you haven’t done before, teach what you have, and provide feedback to help innovate and shine. We feel it’s critical to our success, as well as yours, to encourage this kind of thinking in each person on our team. If you think Red Bear would be a good match for you, then please select the position of interest below to be directed to where you can fill out an application and send us your resume. Red Bear Brewing Company is looking to hire a motivated and experienced Taproom Manager for our brand new brewery and taproom! This position will be hired prior to the opening of the brewery, allowing for an opportunity to help build up something wonderful from the ground up. Expectations will be high, but so will the opportunity for growth! 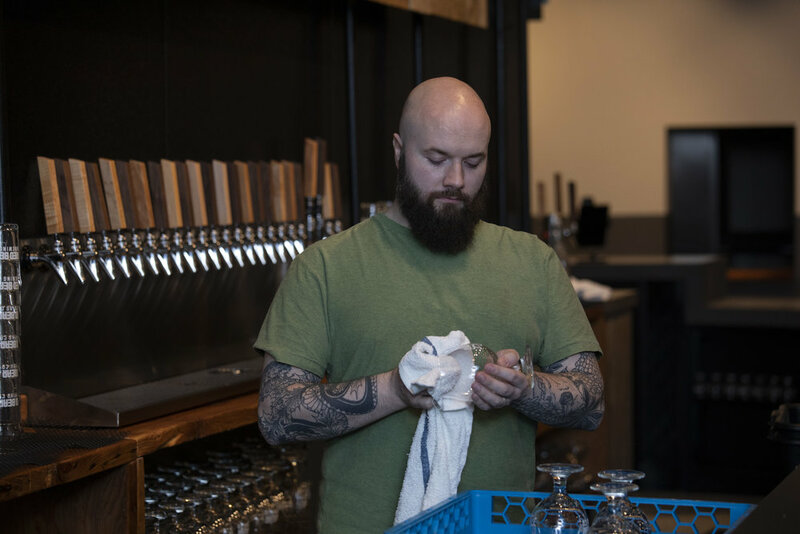 As a leader on our management team, the Taproom Manager will ensure a memorable experience for our patrons by inspiring and directing a team of motivated bartenders, hosts and others in our front-of-house staff. Enforcing and improving taproom service and beer knowledge will be critical to the Taproom Manager role. They will work directly with the Executive Management team to develop and execute fun and interesting activities for our patrons on a daily basis. If you enjoy the challenge of creating some new, building up rigorous standards and processes, and also having fun creating an excellent customer experience, then you should apply for this Taproom Manager position. Red Bear Brewing Company is looking to hire a motivated and experienced Floor Manager for our brand new brewery and taproom! Expectations will be high, but so will the opportunity for growth. As a key part of our management team, the Floor Manager will work to ensure a memorable experience for our patrons by inspiring and directing a team of motivated bartenders, hosts and others in our front-of-house staff. 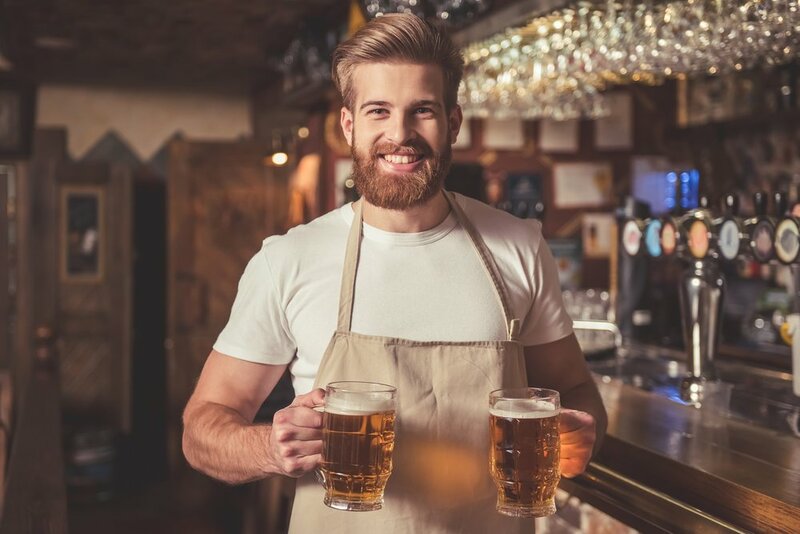 Enforcing and improving taproom service and beer knowledge will be critical to the Floor Manager role. They will work directly with the Taproom Manager and Executive Management team to develop and execute fun and interesting activities for our patrons on a daily basis. If you enjoy the challenge of running a great team and also having fun creating an excellent customer experience, then you should apply for this position. Red Bear Brewing Company is looking to hire a motivated and experienced Kitchen Manager to handle the kitchen in our new brewpub! The position will be hired prior to opening of the kitchen portion of the brewery, allowing the opportunity to build a menu and team. Expectations will be high, but so will the opportunity for growth! As a leader on our management team, the Kitchen Manager will ensure a memorable experience for our patrons by leading a kitchen team to develop and create delicious food. They will be directly responsible for all kitchen functions including food preparation and maintenance of quality standards; food storage; sanitation and cleanliness; training of employees in methods of cooking, preparation, sanitation and cleanliness. There is a framework of a menu that we’d like to serve, but we expect the kitchen manager to fully develop this menu and expand on it over time. We also want to focus on food pairings with our beer as well. The Kitchen Manager will work directly with the Executive Management team and the Taproom Manager. If you enjoy the challenge of creating good tasty food for everyone to enjoy, then you should apply for this Kitchen Manager position. We’re looking to hire an experienced brewer to work directly with the Head Brewer developing recipes and brewing awesome beer! This position will likely start shortly before we open and be able to help be part of building the brewery from the ground up. 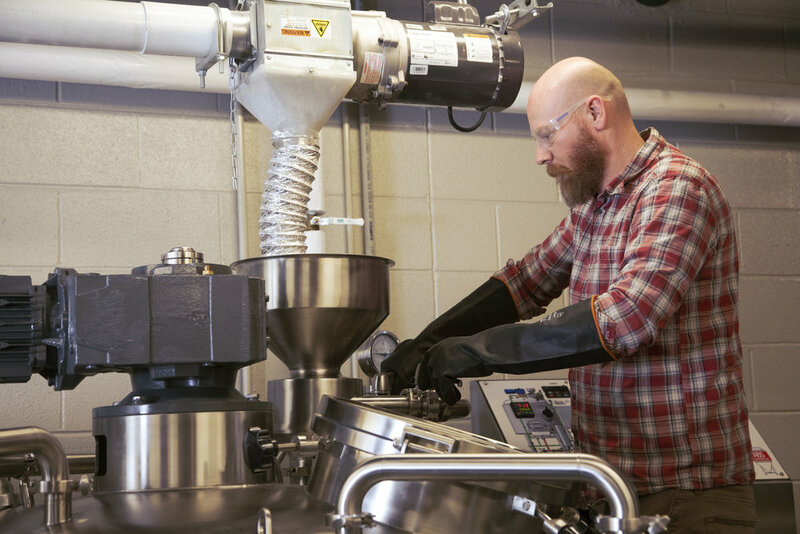 A brewer is responsible for all aspects of the brewing process including mashing, fermentation, cleaning, and packaging. This employee must be a hard working team player as well as a self-motivated individual. A passion for craft beer and desire to continue growing within the industry is also important. The candidate should also be a sociable person who is comfortable occasionally representing the brewery in public. We’re looking to hire an entry level brewer to perform cellar tasks and assist the Lead Brewer brewing awesome beer! An Entry Level Brewer is responsible for learning and performing cellar duties such as tank cleaning, keg cleaning, beer transfers, tap line cleaning, and assisting in the brewing process. This employee must be a hard working team player as well as a self-motivated individual. A passion for craft beer and desire to continue growing within the industry is also important. The candidate should also be a sociable person who is comfortable occasionally representing the brewery in public. We’re looking to hire experienced and motivated bartenders and lead bartenders to join the Red Bear team! You will be able to help be part of building the brewery and taproom up from the very beginning! Both Full time and Part time positions will be available. Good bartenders are critical as you will be the face of the brewery and the primary person our patrons will know personally. A passion for craft beer and desire to continue growing within the industry is also important. You must be a hard working team player as well as a self-motivated individual. Industry experience and knowledge with beer and cocktails is also highly desired. We’re looking to hire hard working barbacks to join the Red Bear team! You will be able to help be part of building the brewery and taproom up from the very beginning! This role will be part time with the opportunity to cross train, advance and become full time. Good barbacks need to be a team player and have good time management skills, prioritizing various tasks assigned, including keg swaps, bussing, glassware washing, etc. A passion for craft beer and desire to continue growing within the industry is also important. Industry experience and commitment to providing a memorable experience is also highly desired. We’re looking to hire hosts to join the Red Bear team! You will be able to help be part of building the brewery and taproom up from the very beginning! Part time positions are available with potential for full time employment in the future. The host will be the first and last person every guest is in touch with as they visit the brewery. They need to be energetic, charismatic, and able to multi-task. A passion for craft beer and desire to continue growing within the industry is also important.